A well documented renovation /repair is worth its weight in gold when its time to sell your home. As a home Inspector I see things all the time that concern me. In order to do my job I pass these concerns on to my clients. This week I came across a home that had recent foundation repairs. The seller claimed that the repairs were professionally completed but the end result left me wondering. 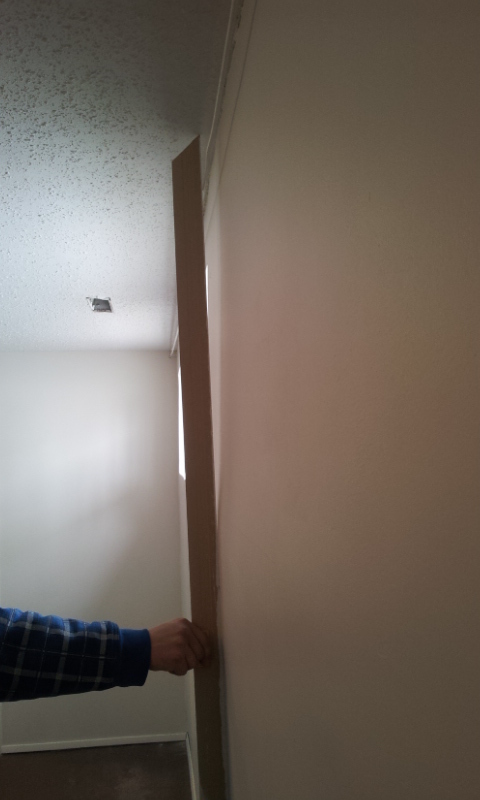 The stud wall and drywall finish job had about a three inch inward bow. From experience I naturally figured that the concrete wall behind the studded wall must also be bowed in the same fashion as the finished wall. A horizontal crack in a concrete wall can be an indication of a serious situation. I recommended that my clients, who were young and first time buyers should move forward cautiously. I suggested that they ask for pictures of the repairs and documents to prove the wall was indeed professionally repaired. I explained that without this documentation it looked like there was still a major problem with this wall. The sale was in jeopardy at this point. As it turns out the realtor had the documents I asked for and we went through the ample photos of the repair job. The concrete wall looked fine (no bow). I was able to determine that the homeowner had completed the finish work on the stud wall themselves. The upper part of the wall was not removed during the initial tear-out and when the homeowner rebuilt the lower 2/3 of the wall they ended up with the 3” bow in the joint where the two walls met. If it was not for the renovation pictures the sale may have fallen through. I often suggest that the buyer ask for permits if the job looks poorly done or if I believe it is unsafe, meaning it was not likely permitted and inspected. So I recommend that you take lots of pictures of the repairs before and after. If you do it right you should be happy to prove its right. In this case I recommended that the interior wall be removed and rebuilt if the buyer felt they wanted it to be straight and level, otherwise I suspect it was just cosmetic.